These questions about strata insurance for common driveway have been answered by Leonie Milonas, PSC Property Lync Insurance Brokers. Question: We currently pay Strata Insurance but we do not share a common driveway. We have no other common property. Can we arrange our own strata insurance? I have a question regarding strata insurance when we don’t have a common driveway. We live in Western Australia and I am currently the owner of one of two property on a strata plan. There is a total of 2 single storey properties and each of us has our own driveway. There is a fence dividing our respective property and we pay for our own utilities bill etc so that there is no common property or shared invoices. The only expenses we shared is the strata insurance. This has been the case since we both of us purchased from the original owners. I was wondering if we need strata insurance or can we pay for our own building and content insurance as we do not share a common driveway. Answer: The Strata Titles Act 1985 provides different insurance requirements for the different types of strata plans, hence it will depend on the type of strata plan that you have. The Strata Titles Act 1985 (STA) provides different insurance requirements for the different types of strata plans, hence it will depend on the type of strata plan that you have. Sometimes, common property can exist without you realising it. As you have described it may fall under the section of the STA – Lots in Single Tier Strata Scheme s53B. Within this section it provides an option that enables a Proprietor to insure, or the Strata company to determine to jointly insure. In the first instance, any determination made by the Strata Company (ie the two lot proprietors) must be in accordance with the requirements of the STA. Generally, strata insurance is accepted as a cost-effective way to obtain broad coverage, further with the knowledge that both buildings are insured. You may wish to refer to a strata lawyer or consultant for specific advice regarding your strata plan and on how to achieve your desired outcome, whether it be to jointly insured via the Strata Company or to separate the insurance and take care of such as individuals. Question: Where do we stand for Strata Insurance for the common driveway? Are we able to separately insure the common driveway without having to take out insurance for the whole strata plan? I own the end villa of a 3 villa strata plan in Western Australia. From the time I bought my villa, individual owners were responsible for their own insurance coverage of their respective villas. The front villa has its own street frontage and driveway. The middle villa and my villa share a common driveway. I discovered that because each villa is insured individually by their respective owners, the common driveway shared by the middle villa and my villa is not currently insured. Are we able to just insure the common driveway, without having to take out insurance for the whole strata plan? Each owner is happy with the current situation where we are individually responsible for our respective building and contents insurance. Is there a required level of insurance that common driveways should be insured for? What insurance companies deal in strata insurance for the common driveway? I tried a couple of the mainstream insurers, and they all basically said the only way is for all the owners to insure the strata plan. Answer: Obtaining insurance for common property only is difficult but can be arranged in certain circumstances. Obtaining insurance for common property only is difficult, but can be arranged in certain circumstances. Understanding the strata plan is important when considering the insurance arrangements. In terms of individual insurance for your unit, this is allowable under the Western Australian Strata Titles Act 1985 (STA) only in certain circumstances and you should obtain advice in this regard. It is important to understand your strata plan boundaries. There a required level of insurance that common driveways should be insured for. STA requires you insure for a minimum of $5,000,000 legal liability. In our current strata insurance market, this is considered a very low amount, as legal liability claims can amount to much higher limits, given they usually take a long time to settle and involve injury or harm to people or property. The new strata reforms around Australia and moving to much higher limits of $20,000,000 legal liability, as minimum amounts. There are limited companies that deal with insuring common driveways and it very much depends on the circumstances of the strata plan and its boundaries. The most complete and best way to insure strata properties is where all owners take on residential strata insurance for the strata plan. For strata and common property insurance arrangements, you should seek advice from a qualified insurance broker or your strata manager to help you understand your strata plan and insurance requirements. This post appears in Strata News #176. WA: Q&A What insurance do I need for a strata property? The above is a general response only to questions asked, not taking into account personal circumstances and is not legal advice. See General Advice Warning. This advice has been prepared without taking into account the client’s objectives, financial situation or needs. Because of that, before acting on the above advice, the client should consider its appropriateness (having regard to their objectives, needs, and financial situation). If the advice is related to the acquisition of an insurance contract, the client should obtain a Product Disclosure Statement relating to the product before deciding whether to acquire it. 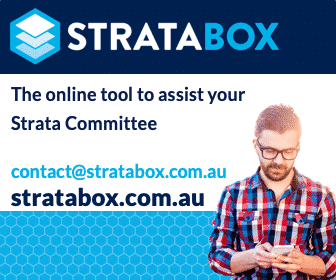 Visit Strata Insurance OR Strata Information WA. I am trying to find an insurer which would insure common property only or allow each strata lot owner to determine their own insurance. Are there any insurers who will do this? It would seem that there would be a great demand for such an option as with subdivisions, more strata plans are comprised of different types of houses with different values. It is possible to obtain common property only insurance in certain circumstances. To confirm whether this strata scheme would qualify a review of the strata plan would be required. I also add that obtaining strata insurance valuations is another way of resolving the issues of re-subdivisions and different housing styles built on the strata plan. This is important as you still need to insure your strata property for replacement value as required by the WA Strata Titles Act 1985. How would I have the “review” done to determine if this is possible or not? Also are you saying that the Strata Company is responsible for ensuring that all the properties are insured for replacement value ie even if we were able to insure separately, the Strata Company would take responsibility if someone did not do their bit? Finally, would you recommend any people who do these replacement value valuations? The insurers do not seem to do this themselves.